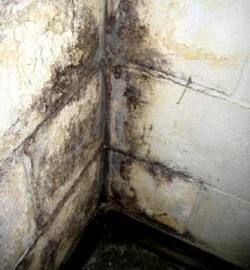 We here at Toledo Basement Repair understand the health risks attributed to mold growth within your home. We work hard for our clients in Maumee, Toledo and surrounding areas to rid them of this hazard. 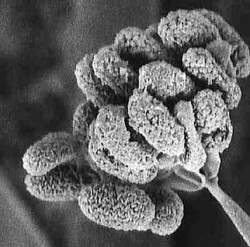 Mold can cause serious health symptoms, especially for people with compromised immune systems, children, and the elderly. Some mold symptoms include asthma, skin rash and sinusitis. Symptoms may start slowly with a headache or wheezing and gradually increase to more pronounced ailments. Mold removal is essential to eliminating health risks that can eventually lead to severe congestion, neurological damage, memory loss, or lung disease. 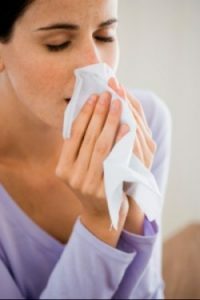 Many people are uncomfortable doing their own home mold removal due to the health risks involved. Safety precautions, materials, and cost coupled with inexperience also deter homeowners from handling basement mold removal on their own. Our certified technicians at Toledo Basement Repair provide thorough mold inspection and removal. 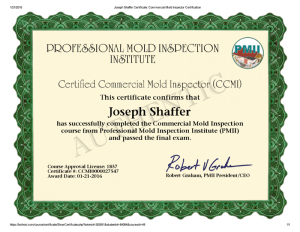 Mold testing is usually not required because the CPC does not differentiate mold identification, as all molds contain health risks. The important steps to be taken are mold detection, treatment, and prevention. Labor and work are backed by a Healthy Basement Certificate, in association with Grate Products. All of our excellent services from consultation, diagnosis, treatment, planning, and repair are implemented well above industry standards at affordable prices. Contact a certified representative for consultation, home mold inspection, and mold remediation services at (419) 297-6138.